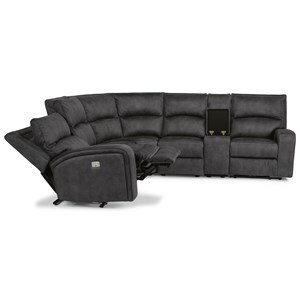 Perfect for your family room or home entertainment area, this reclining sectional sofa offers the comfort and convenience you need to relax. From pad-over-chaise seats to bustle back cushions and pillow-top arms, this sectional uses no-sag springs and loose fibre cushions to create soft support from head to toe. 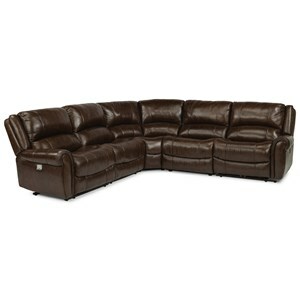 Its contrast stitching over leather-match upholstery is also stylish, while its storage console makes it easy to work, play, eat and drink while lounging on the couch. 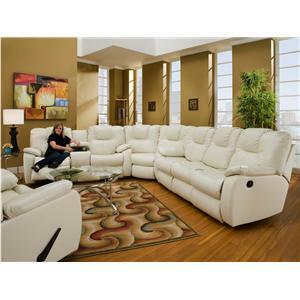 With room enough for at least 5 people, this sectional is great for family and social gatherings. 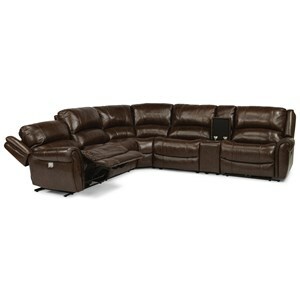 This sectional is available in manual and power options. 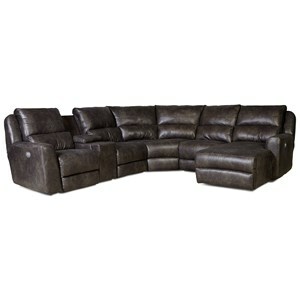 The 2681 Reclining Sectional Sofa with RAF Chaise by HTL at Fashion Furniture in the Fresno, Madera area. Product availability may vary. Contact us for the most current availability on this product.